Who Usually Pays Escrow Fees? Who Pays Title Costs in a Real Estate Contract? The closing table can not only bring excitement and anticipation for home buyers, it can bring bewilderment and confusion as well. Typical escrow fees and closing costs can add up very quickly, leaving you to wonder who is to pay for it all. Escrow fees can be divided between buyer and seller according to the agreed upon terms of your purchase and sale agreement. Although every real estate transaction is different, it's customary for certain fees to be paid by each party during normal situations. The escrow handling fee is generally split between the buyer and seller, but this can be negotiable depending on contract details. In some states, a licensed third party escrow company handles the task, while other states require an attorney to oversee the proceedings. Title companies, title agents, lenders, brokers and real estate agents are allowed to handle real estate closings in certain regions. Check with your local real estate agent for guidelines in your area. Title insurance can include both the owner's policy and also the lender's policy. Both types ensure the policy holder that no outstanding liens are on the property. The title company, and in some cases an attorney, is responsible for researching the history of the property by ensuring that no one has a claim against it. Generally, the owner's policy is the responsibility of the seller, and the lender's policy is the buyer's financial commitment. Transfer tax is also referred to as excise tax or re-conveyance tax in some regions. It is usually based upon a percentage rate of the purchase price and is payable to either the state, county, city or a combination of all three. In most areas, the seller assumes this cost, but some areas require the buyer to pay for it. Just think of the transfer tax as Uncle Sam's way of getting his share of the pie. 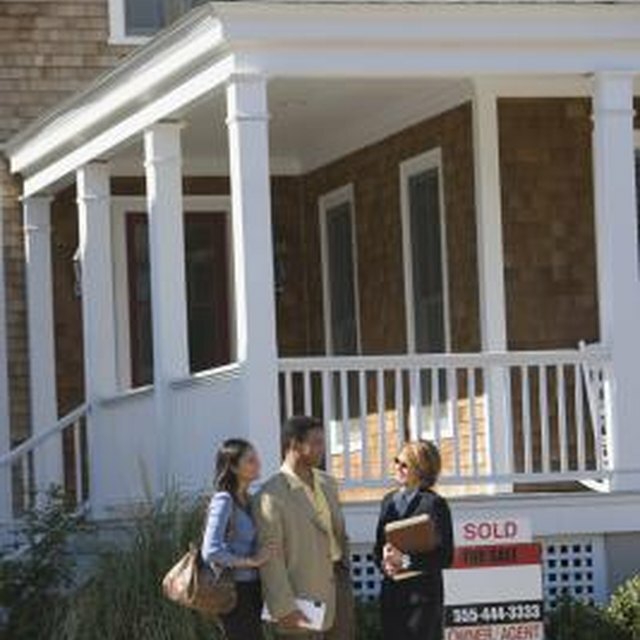 What Do Home Selling Closing Costs Consist of? Lender fees are those costs the buyer incurs through his lender. These costs can include appraisal fees, loan origination fees, discount points, application fees, processing fees and the cost of obtaining a credit report. Although the buyer must cover these lender fees most of the time, in some situations the buyer and seller agree that the seller will pay for these items. These are referred to as "seller paid closing costs," and must be within a certain dollar amount to be permitted by the lender. Taxes and insurance premiums can be required of both parties, depending on when closing occurs. For example, if a seller has not paid this year's taxable amount, he may be required to pay a prorated amount at closing. The buyer must pay the remainder of this term's taxes. Additionally, the purchaser is typically required to pay at least a year ahead in taxes and insurance premiums, along with any prorated portions. Real Estate Pro Articles: Real Estate Closing Costs Who Pays What?